One Size Does NOT Fit All.. Okay gang, guess what I'm up to this week? I'm redoing "The Bridge"...AGAIN! Let me clarify, I'm reformatting "The Bridge" specifically for Kindle e-readers. Last night I got a 3 star review on Amazon, which I've been anticipating for some time. I mean, in spite of all the 4 and 5 star reviews, it was bound to happen right? Of course. But when I read the review I was stunned to see where some of the problems were for this reader. They considered the story itself a 5 star read. But the editing and formatting were barely 1 star. Now I've known about the editing for some time and have plans in the very near future to get the book the professional edit treatment it needs. I'll finally have the funds to do it, I'll explain how that happened in another post. 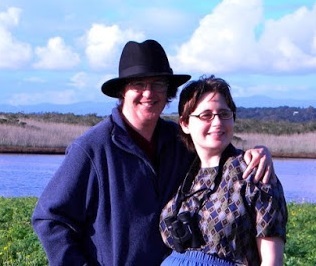 Today I'm going to talk about my experiences with Kindle Direct Publishing, aka KDP Select. This is a special program offered by Amazon to help authors promote Kindle versions of their e-books. The program is worldwide which really helps make your work available to a huge market. You sign a 3-month contract, which can be renewed automatically or ended when those three months are up. During this period you have the opportunities to raise and lower the price of your work at your leisure. I want to thank everyone who participated and took advantage of getting a free copy of my paranormal/mystery "THE BRIDGE". The first time I did a Free giveaway, less than 450 people took advantage of the opportunity. This time I did wee bit better... 896!!! And to all of you who helped spread the word to others about the giveaway...THANK YOU ALL SO MUCH! You gave me the opportunity to reach more people and hopefully turn them into fans. I know a number of people will be saying, "Gee... too bad those weren't actual money sales." And they would be right. However, when you're first-time author and trying to get your name out there, giveaways can be a powerful tool to get a fan-base started. I've heard from a number of people who keep telling me they loved the first book and are looking forward to the next one. "THE BRIDGE" Is Free For Kindle On Amazon! Plus a New 5 Star Review! 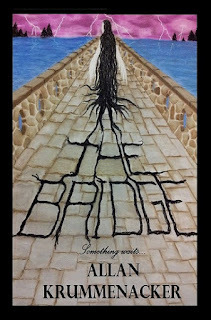 "The Bridge" is a paranormal novel of highest quality. When one of the protagonists, Veronica Ross, a cop of 20 years experience, witnesses a strange car accident and tells her lover (and second protagonist) Alex Hill about it, she doesn't know yet, what she's going to face. She doesn't know yet, that this case isn't simply a police matter - no, it gets further than anything she's ever experienced. As my KDP Select winds down at the end of this month, I'm making my debut paranormal/mystery "THE BRIDGE" available for Kindle absolutely FREE! Just click on the Amazon link below this Saturday-Sunday-Monday (August 10-12) to get a free copy. And if you've already gotten yours, tell your family and friends throughout your network: Facebook, Twitter, LinkedIn, MySpace, Pinterest, the works. I'd love to see a whole new crop of readers get hooked on the first novel of my Para-Earth series. Book number 2 will be out in time for Christmas, so I'm making sure as many people as possible get a chance to see where it all begins. NOTE: For those who don't have Kindle, fear not. "THE BRIDGE" will be available for Nook, Apple, Sony and other e-readers starting September 1st. Stay tuned for that announcement coming soon. 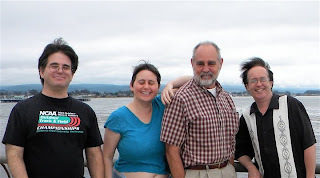 As most of you know, my father-in-law was fighting cancer. This past Thursday, that fight came to an end. He fought a great fight. He is sorely missed by all who knew him. 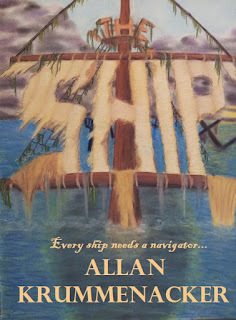 Due to the painful situation my family is facing (my father-in-law is dying of cancer), I've decided to push back the release of my second novel "The Ship" until December of this year. I will also be taking great care to make sure the book is properly formatted and professionally edited. Most of my readers did not mind, but I want to make sure I'm delivering a great product as well as a really good story. I apologize to any fans who are waiting to get their hands on this new book, which follows the events of my first paranormal/mystery "The Bridge". I will release samples from the second book in the Para-Earth Series to help tide you all over.